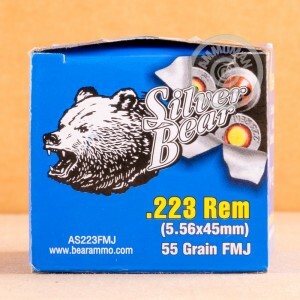 Barnaul Silver Bear ammunition is widely used among AR-15 shooters looking to keep their costs under control while enjoying plenty of trigger time at the range. This ammo's most distinctive feature is zinc-plated steel cases; they are inexpensive but not reloadable. 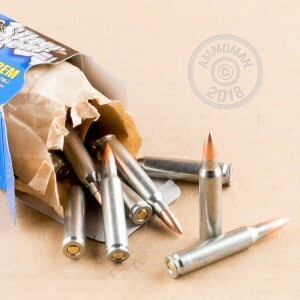 Each cartridge in this box of 20 fires a 55 grain full metal jacket bullet. Note that this ammo has magnetic properties due to its steel components and may not be suitable for indoor ranges. 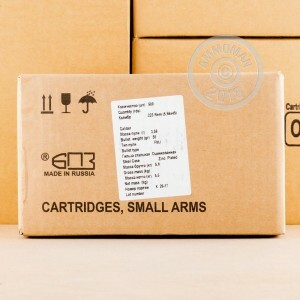 Barnaul ammo is made in the Russian city of the same name and uses non-corrosive Berdan primers. Good plinking ammo, or just storing. Ammo is good. It cycles, it's reliable, it's not as punishing on the extractor as steel, and it even tumbles.